A unit of the R2 in the hospital. 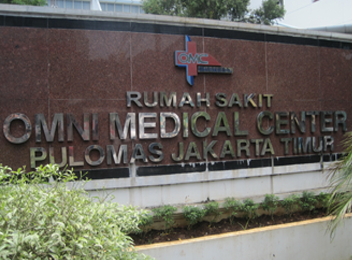 OMNI's Hospital Medical Center is one of most renowned private hospitals, providing for the needs of public health in Indonesia. It officially opened in 1972 as a sanatorium for the treatment of patients with mental illness and in 2001, changed its name from OMC to OMNI's Hospital Medical Centre, a private hospital that can meet all the needs of public health with the vision of becoming the leading hospital in the region which includes the provision of comprehensive health care with international management standards. 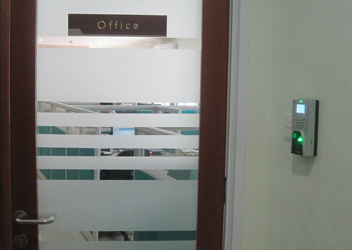 In order to enhance the security in the medical centre, OMNI Hospital decided to look into installing biometric devices for the two medical centers located in East Jakarta and Tangerang, Indonesia. It was then that they discovered and approached FingerTec’s partner in Indonesia since 2005, PT Retailindo, to install 16 units of FingerTec R2 along with access control facilities for securing their admin offices from access to any unauthorized personnel. “We at PT Retailindo are proud of this project as it involves one of the well-known medical centers in the healthcare industry. Hopefully, this will open a lot more opportunities for us,” mentioned Mr. Eviek Gunawan, Managing Director of PT Retailindo, Indonesia.